Have you heard about our STAR Puppy Challenge? This year, we have challenged our training team to promote responsible dog ownership, puppy socialization, and early commitment to training through the AKC STAR Puppy program. 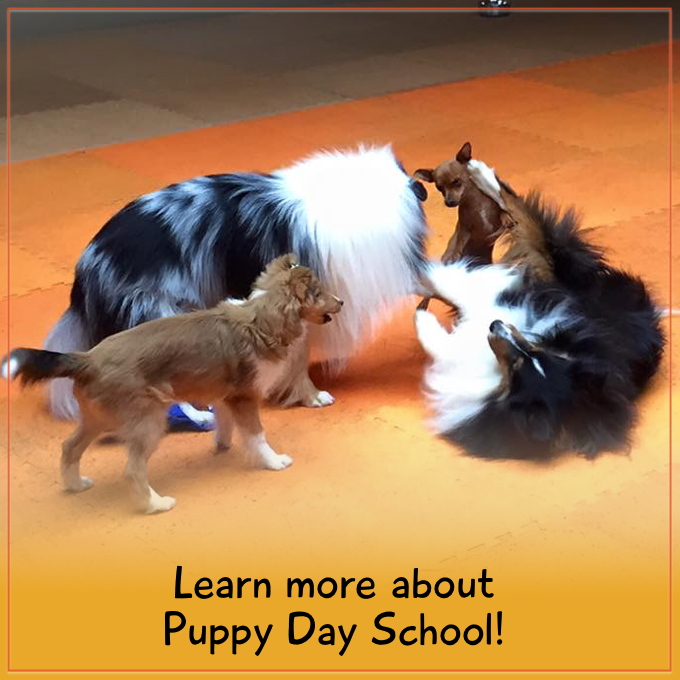 This program is open to all puppies under one year of age. Our goal is for 25 of our students’ puppies to pass the test. To do that, we’re challenging you to commit to our STAR Puppy Challenge and give your puppy the training and socialization she deserves. 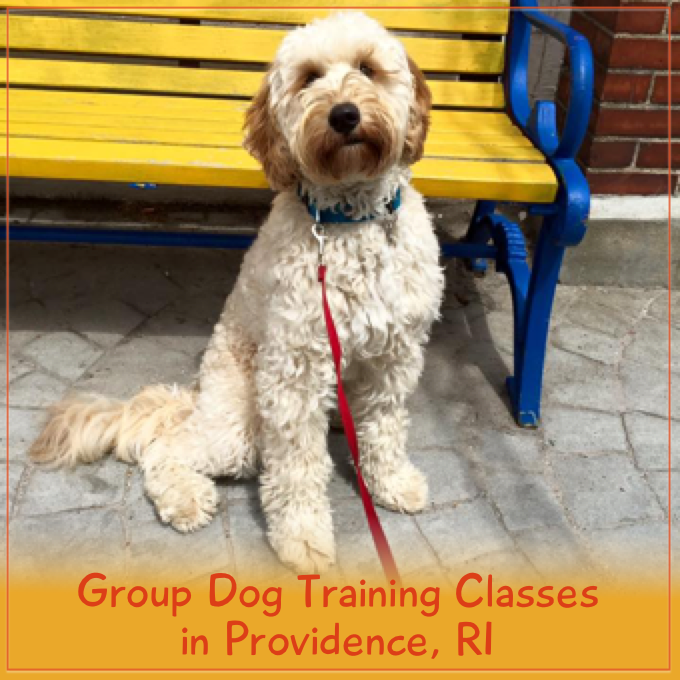 To take the test, you must first attend six manners classes in our Flex Class program with your puppy. 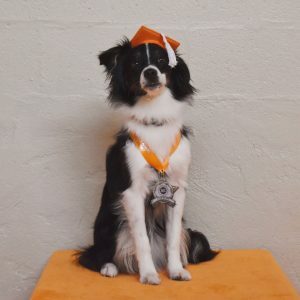 The test will assess your commitment to care for your puppy (veterinary care, identification, exercise plan), your puppy’s behavior in a social environment with other dogs and people, and your puppy’s age-appropriate progress toward good manners (behaviors like sit, loose leash walking, and coming when called). So far, 22 puppies have passed the STAR Puppy test at Spring Forth Dog Academy in 2018! We’re so close to hitting our goal, and hope to finish the year strong and exceed it! We want to help as many new owners get their puppies off to a great start as we possibly can. 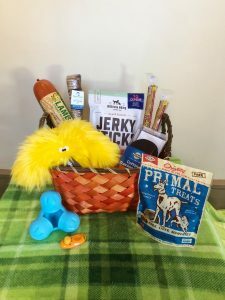 This gift basket from our retail boutique contains $150 worth of products, including made-in-the USA toys by West Paw, treats from Happy Howie’s, Rocco & Roxie jerky sticks, a 20′ long line for training recalls, Primal pork liver munchies, and more! On Tuesday, October 9th we will pick one lucky STAR Puppy Challenge participant to win this basket of goodies. If your pup’s name is already on the STAR Puppy board in our lobby, you’re already entered! If you haven’t committed to the STAR Puppy Challenge yet, just get in touch with us. (It’s free!) We’ll add you to the board. 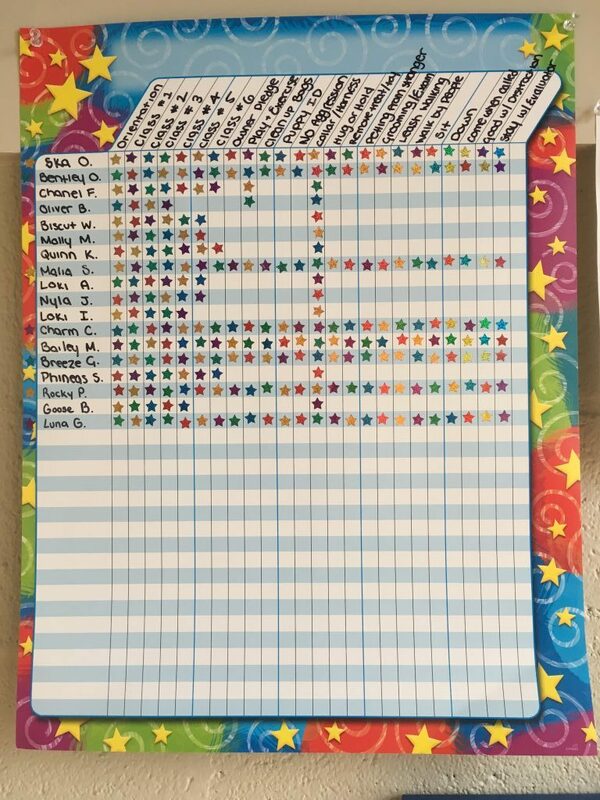 As you take classes & learn new skills, we’ll fill in the star stickers on the chart for everyone to see. And once you’ve taken six manners classes with your pup, we can test you after class. It seems pretty clear to us… if you’re ready to commit to starting your puppy off right, pick a Flex Class Pass and come join us!